I'm always on the look out for fun new quilt blocks to try and there are so many great (and free!) tutorials out there. Today I thought I'd share my current favorite quilt block tutorials and maybe they'll become your favorites too. This block has always been one of my favorites. You can find the tutorial for this block here on the Generations Quilt Patterns website. She even includes instructions for different size blocks. At the end of the tutorial she shows all of the variations on this one block. 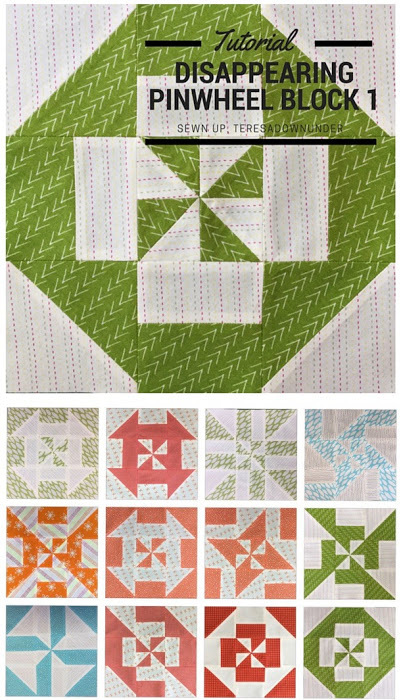 It's fun to see how different one quilt block can look just from changing the fabric placement! See the E-Z Quilt variation in the photo above? 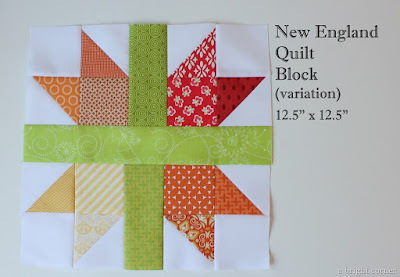 It's similar to my scrappy New England quilt block tutorial. I also love the 'Domino' version of the block. I can imagine that would make a great secondary design when used in a a whole quilt! 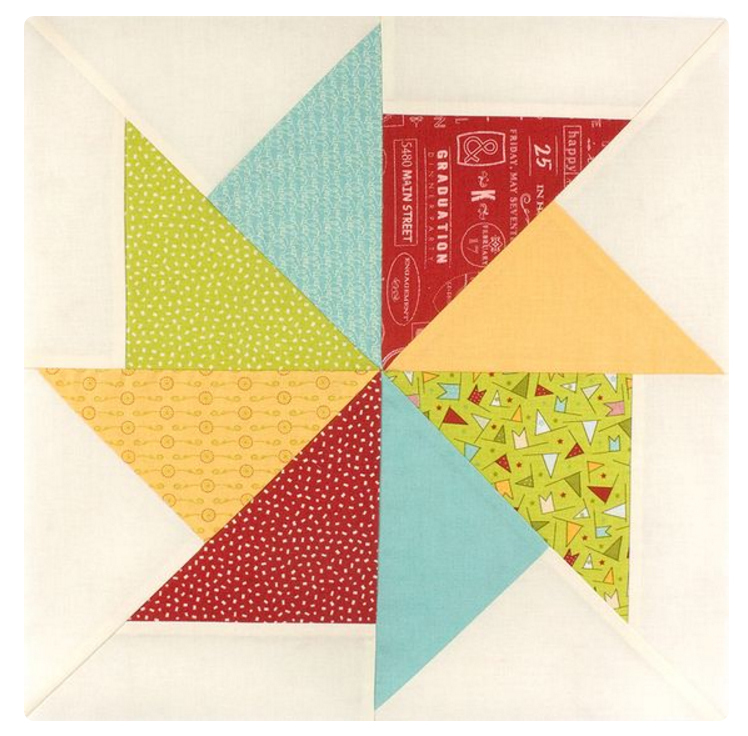 This sweet quilt block is from the Sew Fresh Quilts blog. It's so cute done all in solids! One flower finishes at 9", so a mini quilt with four flowers (like the one in the photo) measures about 18" square. I have a spot on my wall that I'd love to fill with a mini quilt like this! At the bottom of the tutorial, she shows what the full quilt would look like both with and without sashing. Love them both! 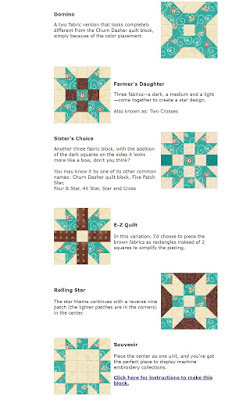 The Ribbon Star block tutorial is from Lee at Freshly Pieced. This one is on my list for two reasons. First, I love a good star quilt block. You just can't go wrong with a sawtooth star! Secondly, I love the folded ribbon look in this block. You could really have some fun playing with color / fabric placement on this one! If you click on the link and scroll to the bottom of the tutorial you can see other color variations of this same block. 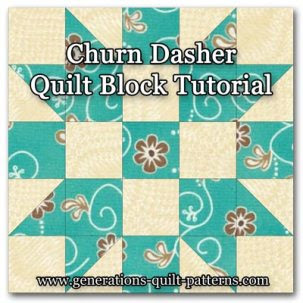 I've seen this one done before as a foundation or paper pieced block, but I love that you don't have to do either in this tutorial! The block pattern is available as a free downloadable and printable page from the Fat Quarter Shop. It was a part of their Wishes Quilt Along in 2014. So this is really cool. Really. One block, with 11 different variations. It's from the Sewn Up blog - you really just have to go and watch the video. It's about a minute and a half long. You have a minute and a half, right? This is just so clever. Basically you make a pinwheel block then cut it up and re-arrange the pieces. Here is the link to the video and instructions to make the first variation of the block. What a fun sampler quilt these would all make! Or, you could do a swap with friends and have them each make a different variation and then exchange blocks. 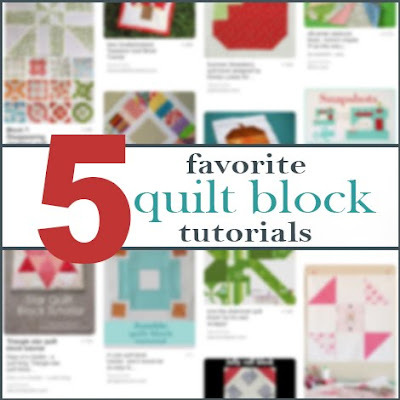 Thanks for joining in with me as I share my current favorite quilt block tutorials. Want to see more? Check out the Fave Quilts site. 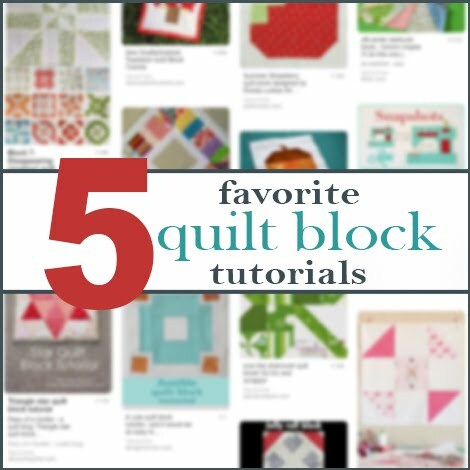 They're a great place to find full quilt tutorials, but did you know they have a whole section dedicated to just quilt blocks? Currently they're up to about 27 pages of quilt block tutorials. Go check it out here, and have fun perusing! Great blocks! I have just spent a lovely time going to all your links and checking everything out! Thanks for the blocks, like all! Thanks, Andy, these are great! Good to see you here today. Thank you for this, Andy! I'm glad to be reminded of a few of my favorite block tutorials I've wanted to try! Thanks for the blocks,anyone is so gorgeous!